Beautiful! I think the first one is my favorite. The veins in the leaf really stand out. Those colorful leaves are gorgeous! So crisp. Love love LOVE that third one. The colors are AWESOME. I know, that’s my favorite too! those photos make me long for Fall!! Beautiful. Oh same here. I can’t WAIT for Autumn! Oh thank you! I thought they were so pretty when they were in bloom at the botanic garden! I like the color of the leaves especially the third one, it’s multi-colored. Oh yes, a sure sign of the Autumn to come! Thank you! I am really excited for Autumn this year, hopefully we get a good colorful season! Lovely job with the light. I love the third one too. Thank you so much! The 3rd one, the autumny strawberry leaf, is my favorite too. great shots! the first is my fav! 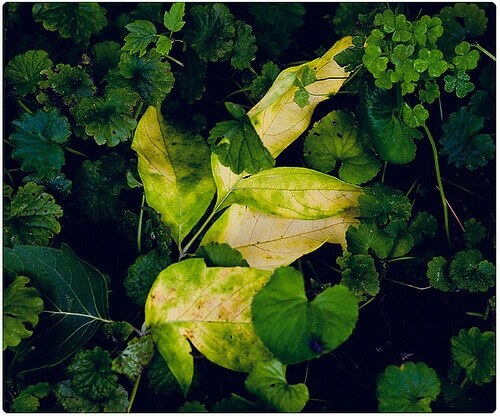 They’re all beautiful shots, but the large leaf turning colors makes me crave Autumn! Oh same here, I am SO SO SOOOO excited about this season! 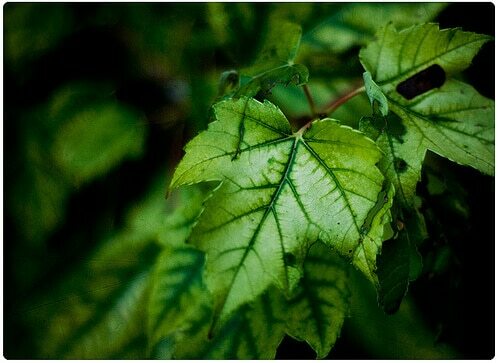 Where do you find such beautiful leaves to photograph? You have an observant eye. I love the deep green veins on the first one, too. It really draws you in. I also love how the colors pop in the last three. Beautiful! Thank you! Pretty much 3 places. My yard. The botanic garden. Lastly, the local parks. 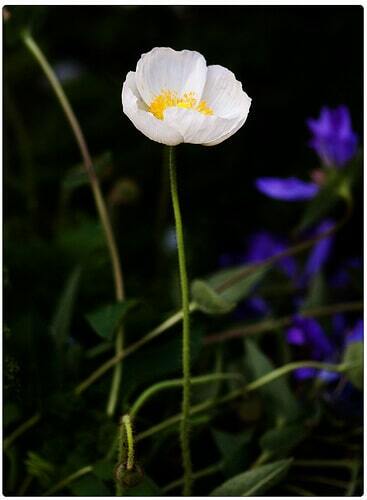 Gorgeous photos, as always Sarah! I can’t wait for Fall to come around. The cooler temps will be a great relief for the nasty hot weather here in Georgia and…I can’t wait to see what you’ll photograph in the Fall. I’m willing to bet that it’ll be GOR-GEOUS! Hey, I’m moving much closer to your neck of the woods next week. Goodbye Georgia. Hello Missouri! Hope you’re having a fabulous week. Take care. Aww thank you! Oh I am totally hoping for a colorful season this year. Plus apple picking and pumpkin picking! Aww thank you! 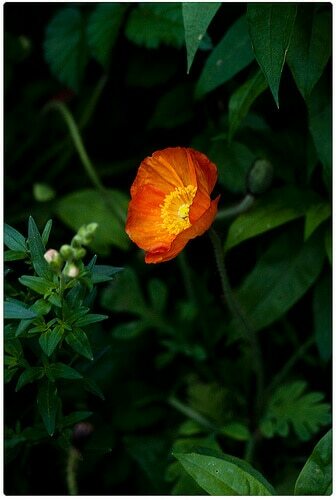 I love poppies, maybe next year I will attempt to grow some in my own yard lol. wow. how do you do that? I didn’t do one for today. I wrote about my mom shoes instead, which is strangely not what the little button is linking to! Anyway, these are beautiful as always. I love that first one and then the third one (leaf changing colors). Happy WW! You have some amazing photos. Aww thank you! The third one is my favorite! The third one is my favorite. It’s my favorite too! 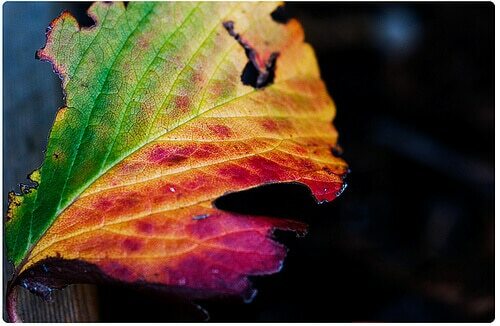 I LOVE the different colors and just the texture of the leaf too. Oh! Love that leaf with the purple! So pretty! Thank you! It is one of my favorite shots! LOL I don’t see that in myself at ALL but thank you! Aww thank you so much Jenny!! The third picture, oh my goodness, SO beautiful. The colors are fantastic, beautifully captured. Thank you! I AM SOOO excited about Autumn. I really hope we have a colorful season this year! Aww thank you so much! I really would love to expand a little bit but just haven’t had the free time to do so lately!